In today’s modern fast paced life, let’s face it: we rely on computers. Our family photos, bank info and lots of other personal information are stored on our computers. Don’t let some hacker take what is precious to you or steal your identity. Let Bob’s Computer Service ease your worry with our 24/7 Managed Antivirus Protection. You will never need to worry if your antivirus is out of date again. We will monitor and remove any virus when it happens before you even know about it. Receive weekly updates about the health of your pc. Going to a big box store every time you get a virus will become costly, not to mention the down time. 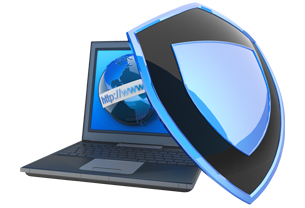 Let us help save you time, money and worry with our 24/7 Managed Antivirus Protection! Isn’t peace of mind that you are fully protected worth a dollar a day? Call Bob’s Computer Service today!